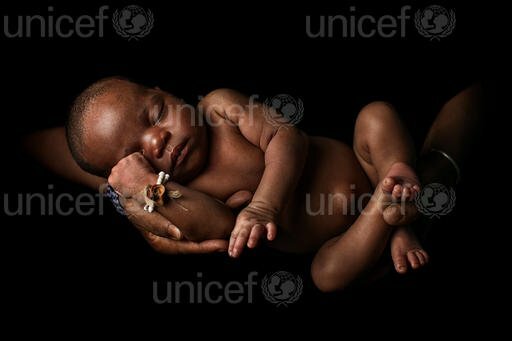 A child born in Nigeria today is likely to live for only 55 years which is now the life expectancy in the country, UNICEF has revealed. The Nigerian child can only live a year longer than his contemporaries in Chad and the Central African Republic, not expected to live beyond 2073, and two years more than that in Sierra Leone. In its latest report released in Abuja today, the global body said that 395,072 babies will be born on New Year’s Day globally, with Nigeria welcoming a total of 25, 685, or 6.5 per cent, out of these. Plight of the Nigerian baby is unlike that of the child born in Italy, Singapore, Spain or Switzerland in 2019 that the report said has the highest live expectancy of living till 2103. The report noted that Nigerian babies will account for almost 40 per cent of all those born in West and Central Africa, and more than 23 per cent of those born in sub-Saharan Africa. Nigeria and seven other countries will also account for over half of the world’s births that day. The countries are: India, 69,944; China, 44,940; Pakistan, 15,112 and Indonesia, 13,256. Just as U.S., DRC and Bangladesh will have 11,086, 10,053 and 8,428 of the babies respectively. “We can and must do more to ensure that children born in Nigeria survive their first day of life – and are able to survive and thrive for many months and years to come,” said UNICEF Nigeria’s Acting Representative, Pernille Ironside. Compared to Nigeria, life expectancy is higher in Ghana, standing at 64; it is 65 in Sudan, and Rwanda that came out of a genocide barely two decades ago has up to 90 per cent insurance coverage, with 68 years life expectancy. Nigeria has just about 10 to 13 per cent insurance cover with infant mortality rate that is one of the highest in the world. “We as a people need to redefine our values, make the leadership accountable in critical areas like health delivery, reduce corruption to the barest minimum, make health insurance universally available, accessible and affordable,” Omonaiye added.